Summer brings beautiful sunny days and an endless amount of outdoor adventures for Colorado, but it also brings lots and lots of pests. Whether it be nasty ticks, creepy spiders, or ugly ant hills, nobody likes to find pests in their yard or house, but before you run out to the store to purchase a toxic pesticide, you may be interested to know that you can actually help to prevent pests in your lawn with landscape maintenance service in Colorado. There are many ways in which lawn care can prevent pests in your home. Your lawn, plants, flowers, and veggies are all things that attract pests to your lawn, but we can help you to use all of these things to your advantage. The first thing that you should know is the length of your lawn actually matters. Long grass creates a moist, cool environment that ticks absolutely love, so keeping your lawn at an ideal height can actually help to prevent them from settling in. Another big way that pests break into our lives and our homes is by entering through our plants. Pruning your bushes and plants away from your home can make it a lot more difficult for pests to get in. 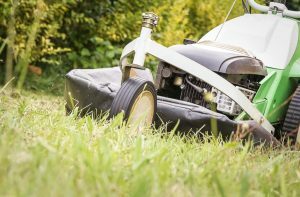 Maintaining a healthy lawn is one of your best tools in preventing those unwanted guests from entering your home, but unfortunately taking care of our lawns properly can be incredibly time consuming. Luckily Advanced Landscaping & Sprinklers is here for you. Our landscaping company is one of the best and most affordable in Ft. Collins, and we are always happy to help. Give us a call today for your free quote.